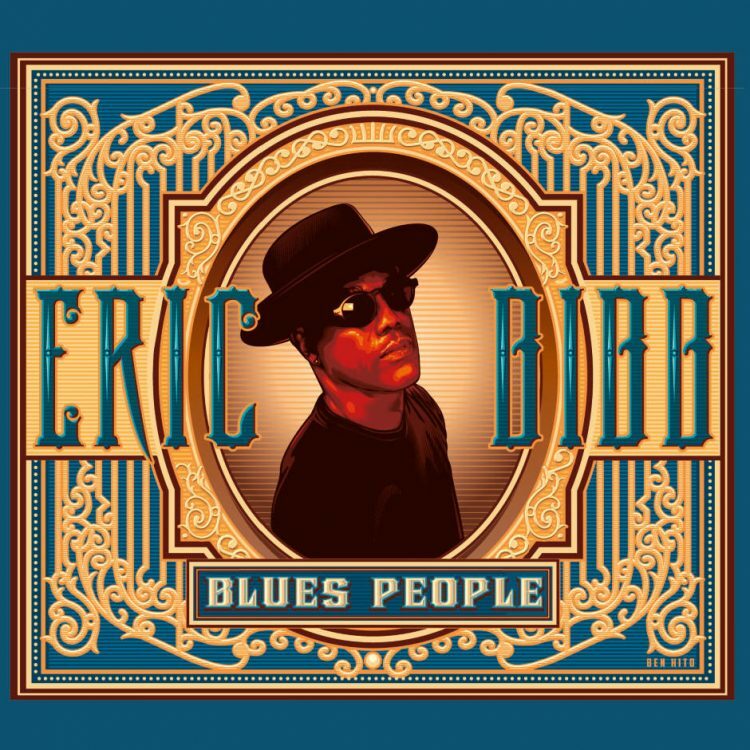 “The new record is an ambitious studio project that’s been a few years in the making,” says Eric Bibb about Jericho Road. “It was produced by Glen Scott, a singer, songwriter, multi-instrumentalist, recording engineer, arranger and producer, who I’ve had the pleasure of collaborating with on several earlier albums. “The new record is an ambitious studio project that’s been a few years in the making,” says Eric Bibb about Jericho Road. “It was produced by Glen Scott, a singer, songwriter, multi-instrumentalist, recording engineer, arranger and producer, who I’ve had the pleasure of collaborating with on several earlier albums. This record reflects many of the musical influences that have informed my writing throughout my career. World music sounds, blues, folk and soul all find their way into these songs. 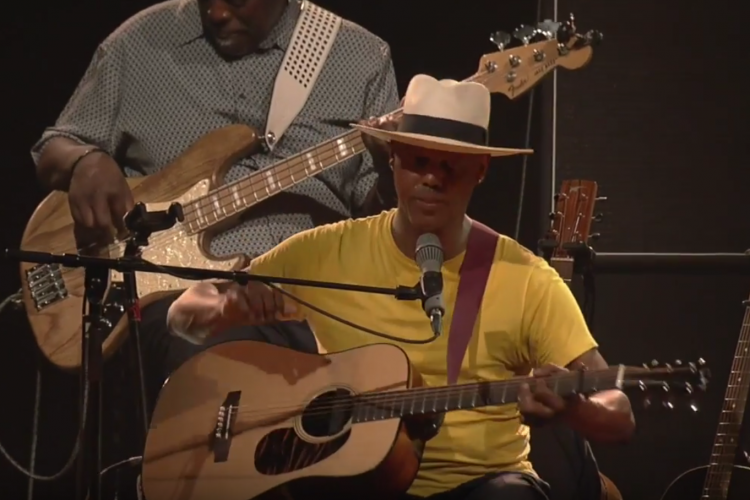 The all original tunes that comprise Jericho Road feature a number of songs co-written by Eric Bibb and Glen Scott, who also contributed musical backing on several instruments throughout the sessions. The two bonus tracks are “Now,” co-written by Bibb and Ernie McNally, and “Nanibali,” written and performed on vocal and kora by Solo Cissokho. “My dear friend Ernie McNally gifted the world with these beautiful lyrics that inspired this call for a new world,” writes Bibb in the liner notes about “Now.” “Stylistically, this song stuck out from the others on the album, but the divine vocals from the wonderful Linda Tillery and Tammi Brown, Glen’s rhapsodic, churchy piano and the soulful trumpet sounds from Goran Kajfes compelled me to include it as a bonus track. 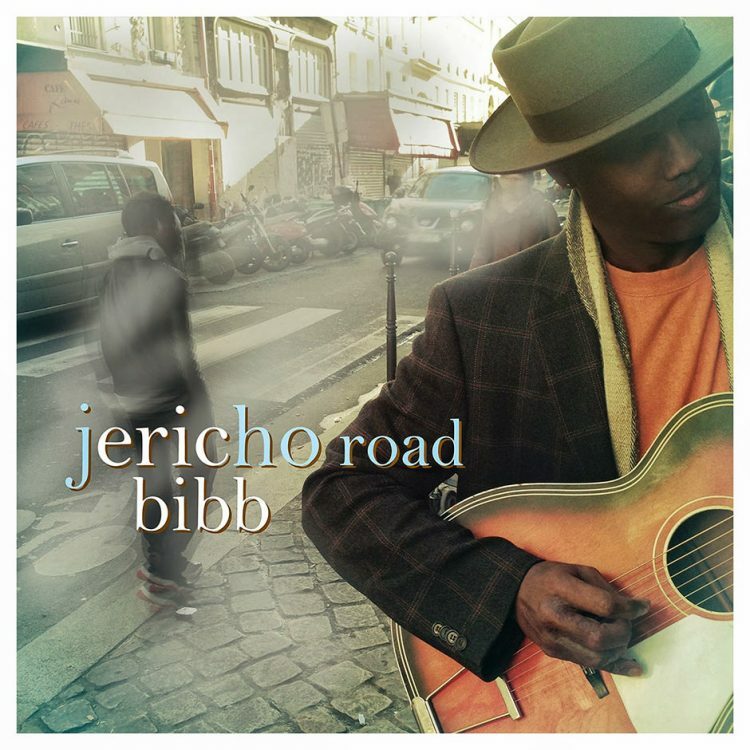 Jericho Road is Eric Bibb’s fourth album for Stony Plain and follows Deeper in the Well, which was nominated for two Blues Music Awards (winning him the 2013 honor for “Acoustic Artist”); and Brothers in Bamako, the critically-acclaimed pairing of Bibb and West African singer/guitarist Habib Koité (pronounced “Ha-beeb Kwa-tay”). 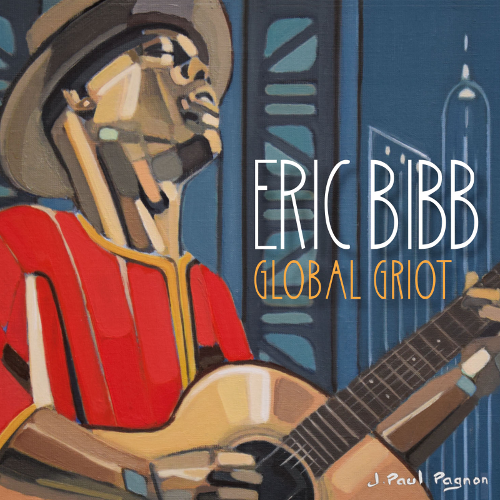 His first label release came in 2006, when Eric and his legendary father, Leon Bibb, collaborated on the album, Praising Peace: A Tribute to Paul Robeson. “Travelling over land and sea, playing and singing to audiences large and small, has blessed me with countless opportunities to observe and befriend people from all over the world,” observes Bibb in the new album’s liner notes. “Through the years I’ve discovered that while the human tribe is wonderfully diverse, we are not all that different from one another. “Given all this exposure to so many cultures, I’m amazed, over and over again, at the prejudiced attitudes and the tendency to judge that linger in my own thinking. Making assumptions about people based on appearance is what we’ve all been conditioned to do, and falling into that trap is surely a big part of what keeps us in conflict with each other. Every time I catch myself going there I shake my head and hope that I’ve learned my lesson. Sometimes, the experience will lead to a new song.